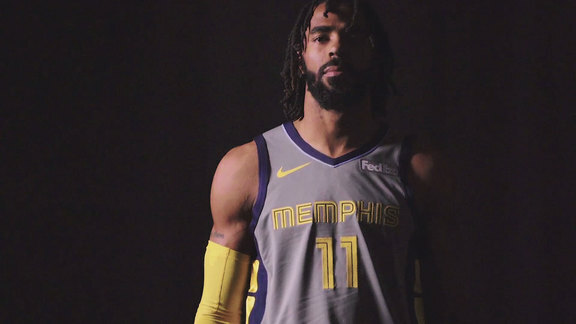 The Memphis Grizzlies unveiled their 2018-19 City Edition ‘Main Event’ Nike uniform on grizzlies.com today. Memphis Grizzlies Wrestling Tee to the first 5,000 fans in attendance. ‘Winter Slam’ Holiday Greeting Card Set to first 5,000 fans in attendance presented by Mercury Printing. Wrestling Scarf to the first 5,000 fans in attendance. Grizzlies World Championship Belt to the first 5,000 fans in attendance. Each wrestling night this season will also be a Wingsday Wrestling Night where Grizzlies fans can get two Terrace Level IV tickets and two five-piece boneless wings coupons for just $22 presented by Wing Guru. Fans can redeem the coupon at either the Mount Moriah or Bartlett Wing Guru locations. This ticket package is available at grizzlies.com/tickets or by phone at (901) 888-HOOP. Fans can head to grizzliesstore.com at midnight on Friday, November 9 and to the Grizz Den at 10 a.m. that day to snag the City Edition ‘Main Event’ Uniform available in adult, youth and women’s sizes. In addition, fans can also get ‘Main Event’ hoodies, shirts and Grizzlies accessories both online and at the Grizz Den. For full details and design inspiration behind the new Grizzlies’ new Nike City Edition Uniform, visit grizzlies.com/main-event. Fans who want to support the Memphis Grizzlies and purchase 2018-19 Season Tickets or 10-Game Flex Packs can do so now by calling (901) 888-HOOP or going online to grizzlies.com/tickets. Tickets to Grizzlies Wrestling Nights and Single Game Tickets are also available for purchase at the FedExForum Box Office, all Ticketmaster locations, ticketmaster.com, online at grizzlies.com/tickets or by calling 1-800-4NBA-TIX. 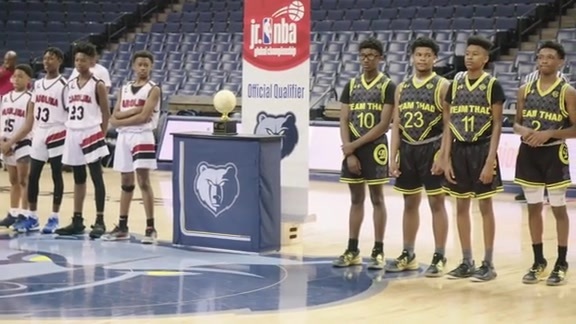 For more information on the Grizzlies, visit grizzlies.com, ‘like’ Memphis Grizzlies on Facebook or follow on Twitter and Instagram (@memgrizz).